Jim Lawless is a game changer. 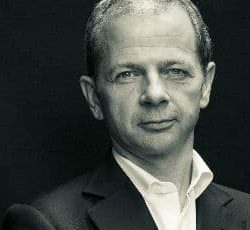 One of the most sought after keynote speakers in Europe, he has devoted his working life to finding out what makes lasting transformation possible. He has shared his tools for transformational change with over half a million people at events on five continents, and many more through his bestselling book ‘Taming Tigers’ (2012). He inspires and encourages his audiences in an extraordinary manner. 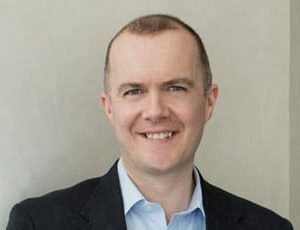 Jim Lawless is an internationally renowned speaker and adviser who has inspired over half a million people within some of the world’s leading companies to take astute risks and adapt for change. Jim Lawless has made himself the advocate of ‘Mission Impossible’ – he has accomplished the unbelievable, testing out his theories for change and transforming himself from a non-diver into the UK’s deepest freediver, passing 100 meters on one breath, and from a non-riding, unfit consultant into a jockey in 12 months. An untested theory for change has little worth to Jim, and his own remarkable story shows how his ideas can deliver outstanding results. Accomplishing ‘Mission Impossible’ depends on the ability to adapt to and create disruptive changes, to seize opportunities, to play to win, to engage and empower others and inspire action. The greatest asset in creating and adapting to change is also our greatest liability: the human mind. A tool formed over many millennia to favour the familiar over the uncertain. Once the leaders and people across an organisation begin to understand, own and enjoy the mindset that creates purposeful change, ‘Mission Impossible’ becomes very much possible – and that is the reason Jim Lawless created the ‘Taming Tigers’ framework. He has devoted the majority of his working life to finding out what makes lasting transformation possible for individuals, teams and organisations, and to making that change happen. Jim’s understanding of change in the individual, team and organisation is hard won – he has advised on change and coached high performing teams at board level for 15 years, with a client list including global giants like Apple, BT, AXA, ATOS and Barclaycard and private equity mega-success stories such as Skrill Group. 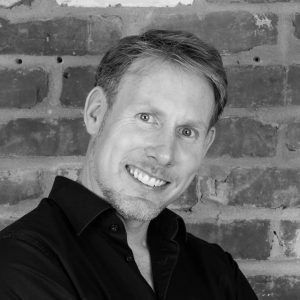 His keynote presentations ignite the desire, courage and confidence to take risks, and he helps delegates achieve what they have convinced themselves is impossible and reach their full potential. .